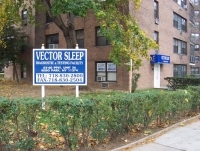 Hello, I'm Doctor Kolesnik, I am a medical director at Vector Sleep Diagnostic Center in Queens, New York. I am board certified in neurology and sleep medicine and I have been in practice for the past 12 years. What are parasomnias? The term Parasomnia refers to all the abnormal and undesirable symptoms that occur in association with sleep except for the sleep apnea. They may occur in any stage of sleep. If they occur on the wakening or on falling asleep, a person may experience sleep paralysis or hallucinations. Sleep paralysis can be quite frightening when the body is unable to move for a period of several seconds or several minutes. Another example is a REM sleep behavior disorder or RBD. This occurs in people of any age and may be associated with different medications such as anti depressants or current association with certain neurological conditions such as Parkinsons disease. Parasomnia may disrupt sleep significantly and result in daytime sleepiness. Additionally they disrupt sleep and their bed partners. Some parasomnias need to be promptly evaluated and treated where others, although that could be frightening and scary can be simply watched and monitored over a period of time with just slight changes in their sleep habits. Your doctor should be able to diagnose these conditions based on your descriptions but at times a sleep study or another test is necessary to confirm your diagnosis or exclude other conditions.